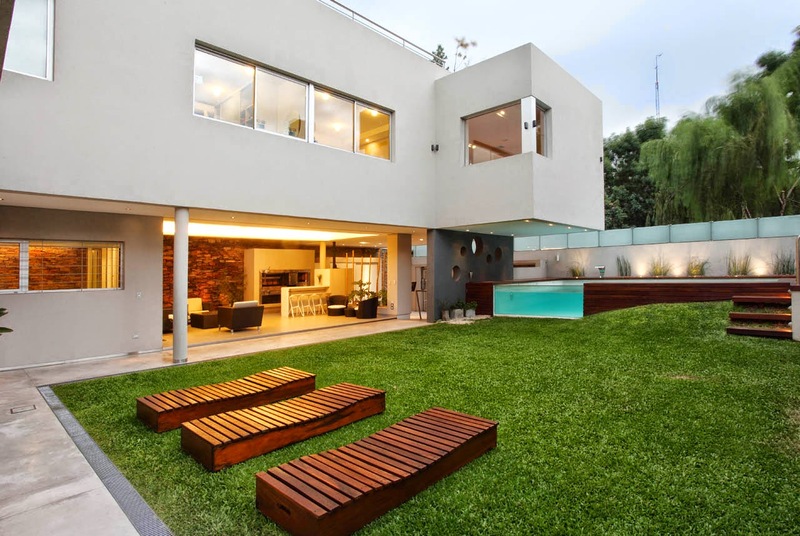 Located in Argentina, this 500m2 home by Andrés Remy Arquitectos was created for a young family who wanted to feel close to nature in an urban environment. 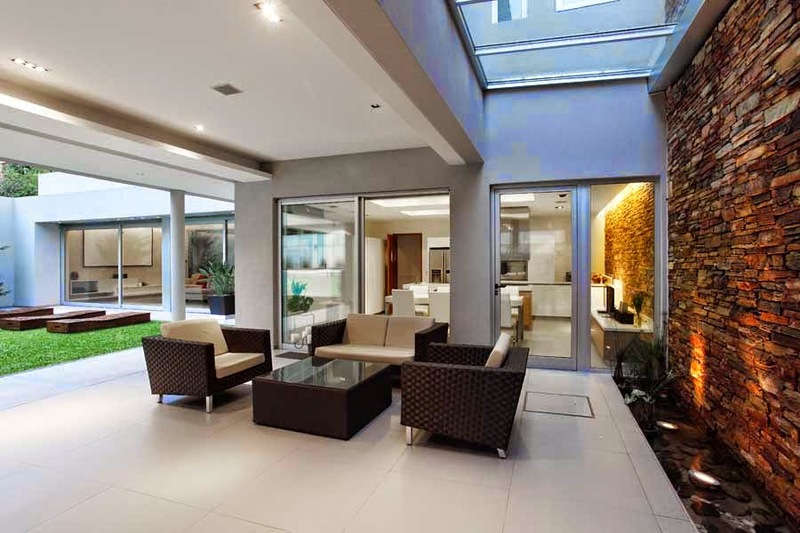 The architects decided to bring in lush grass and lots of water to make the backyard an escape from city life. 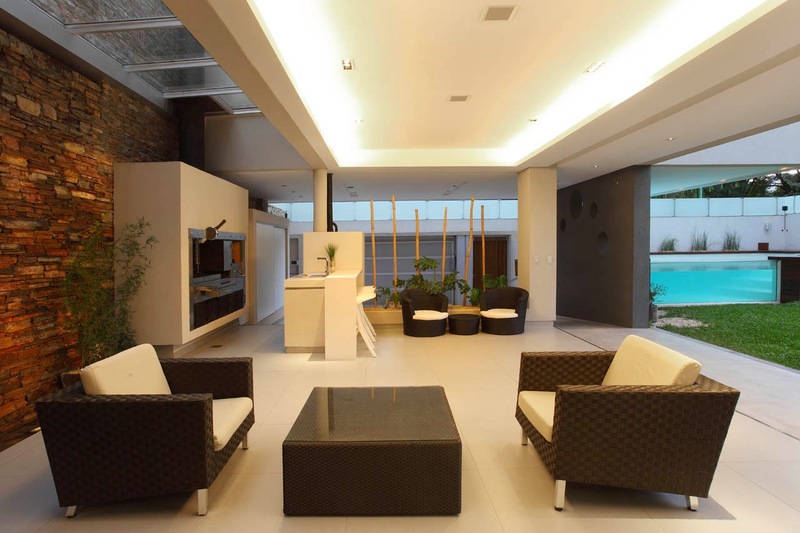 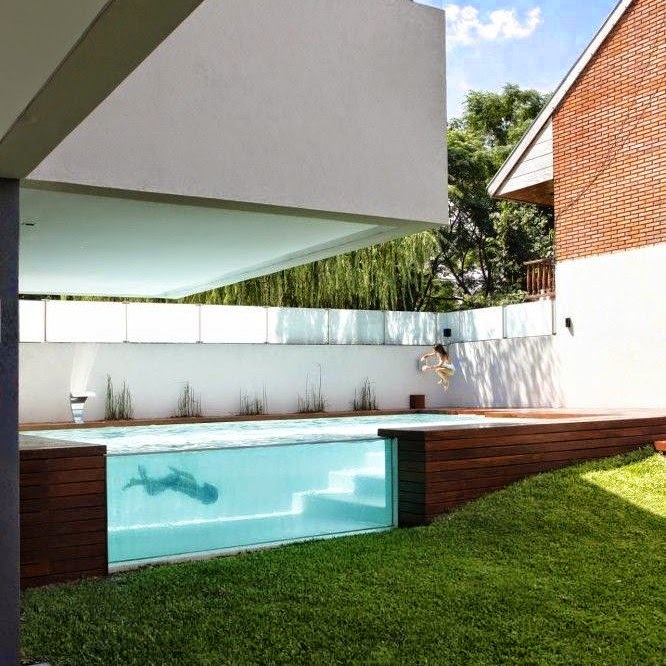 The pool was a key element in the design and has an interesting story behind it.